Billionaires just love their private jets. It is one of, if not the most, lavish things they can buy for themselves. And why not, when your budget allows you to spend $80 million, why would you deny yourself anything? For billionaires, having a private jet for quick and easy travel is part of the perks of that lifestyle. Let's take a look at some of the billionaires and the private jets they own. Dallas Mavericks owner Mark Cuban owns three private jets. In a 2017 interview, he said that owning a private plane was his "all-time goal," because "the asset I value the most is time, and that bought me time." When he bought his first plane in 1999, the $40 million purchase of the Gulfstream V jet set the record for the largest single internet transaction. He also owns a Boeing 757 which he uses to fly the Mavericks to games and a Boeing 767 that he charters out to other people. Richard Branson is a billionaire entrepreneur, owner of a private island in the Caribbean, and basically a daredevil. He owns a Dassault Falcon 50EX, which he uses to fly to Necker Island. For longer flights, he takes flight on his commercial airline company, Virgin Atlantic. Elon Musk has owned private planes for nearly two decades. Today, he owns a Gulfstream G650ER that cost $70 million. In 2018, Musk reportedly flew 150,000 miles on his private jet. Larry Ellison owns two military fighter jets: a decommissioned Soviet MiG-29, and an SIAI-Marchetti S.211 which was used by the Italian military. He isn't allowed to fly the MiG-29 in the U.S. because it is considered a firearm. Google's founders have both invested huge in a fleet of private planes through their shared holding company Blue City Holdings. In 2005, they bought their first plane, a Boeing 767-200 commercial airline, which used to be a plane for Qantas for $15 million. They then spent $10 million renovating the interior of the plane so that it holds only 50 people. Between Brin, Page, and former Google CEO Eric Schmidt they own eight planes. The fleet includes two Gulfstream vs., a Boeing 757, and a Dassault/Dornier Alpha Jet fighter plane. The Google co-founders also have their own private terminal at San Jose International Airport. It cost $82 million to build. Bill Gates has called his Bombardier BD-700 Global Express his "big splurge" and his "guilty pleasure." The plane cost around $40 million and seats up to 19 people. Of course, the world's richest man has his own plane. He owns his plane through his Poplar Glen holding company. 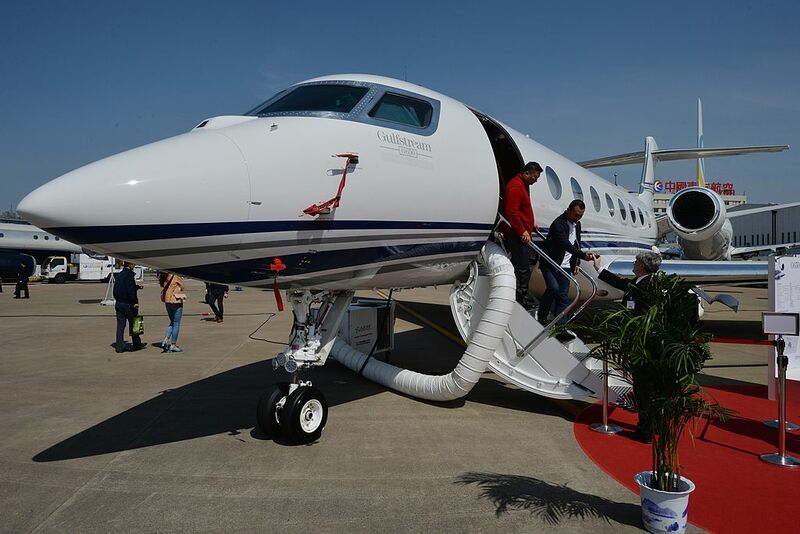 It is a Gulfstream G650ER that seats eight people and cost about $65 million. Landmark Theatres is the largest U.S. movie theatre chain devoted to independent films has a new owner. The company swapped one set of billionaire owners for another. No one, literally no one, has spent more on an internet transaction than Mark Cuban did back in 1999, according to the people at Guinness World Records. Mark Cuban has sold his stake in Twitter to load up on cash. Does he know something we don't know?